Pixie fans, Meet the new additions to the textured collection. Featuring both fine micro glitter and mega hex particles for tone on tone 3D effects. This glam nail is available in 3 shades in a gradient of red, wine and plum, perfection for fall/winter. 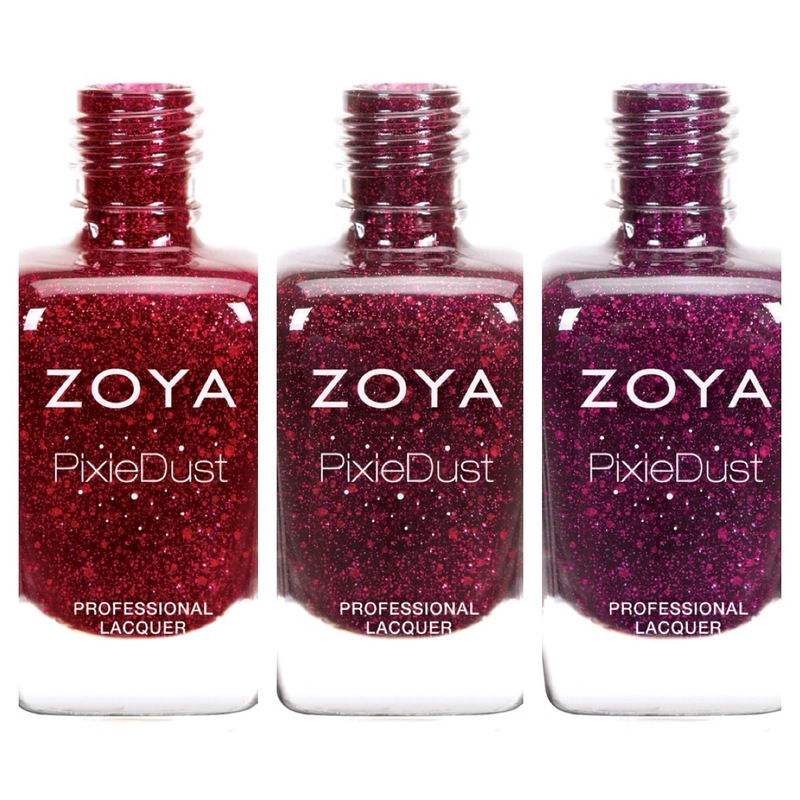 Available at www.zoya.com, retails at $10 Each. I know !!! Can’t get enough Zoya! I want all of these so bad. I’m surprised I like them because I really don’t like the OPI Liquid Sand polishes. I know !!! They just keep bringing out more and more hard to resist colors!!! Can u believe its fall already !!? These colors are to die for! ❤ I'm in love! They are so amazing aren’t they !! !